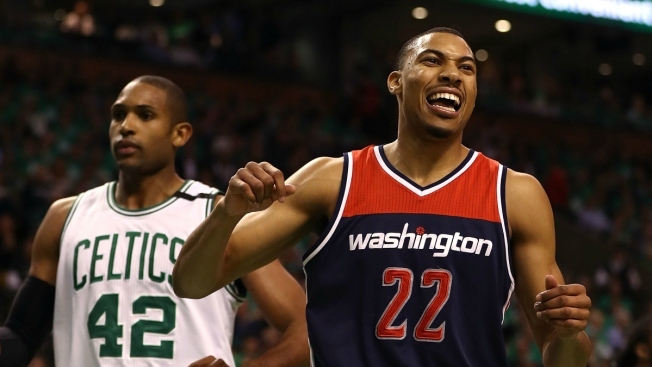 The Washington Wizards matched the Brooklyn Nets' $106 million, four-year offer sheet to keep forward Otto Porter, making him the team's highest paid player. Team president Ernie Grunfeld announced the move Thursday. Under NBA rules, the Wizards had two days to match Brooklyn's offer sheet for the 24-year-old restricted free agent. Porter's new deal puts his salary ahead of guards Bradley Beal and John Wall. He set career highs with 13.4 points, 6.4 rebounds, 1.5 steals and shooting and 3-point percentages of .516 and .434 last season, his fourth as a professional. "Otto has developed into a vital part of our young core, which is why we made it clear that our priority was to keep him here to maintain continuity and build on the success of this group heading into next season and beyond," Grunfeld said in a statement. "His versatility, basketball IQ and three-point shooting combine to make him a great fit for us on the floor while his character and work in the community show why we're so pleased to have him as a cornerstone of our franchise." Porter finished fourth in the league in 3-point shooting last season and had 14 games of 20-plus points. The Wizards drafted Porter third overall in 2013 out of Georgetown. He has averaged 9.3 points a game in his career. "After two years at Georgetown and four years with the Wizards here in Washington, D.C., I'm excited to be staying home," Porter said. "I will continue to work hard to improve my game in all areas and I hope to make an even bigger contribution to the Wizards' success in the future."